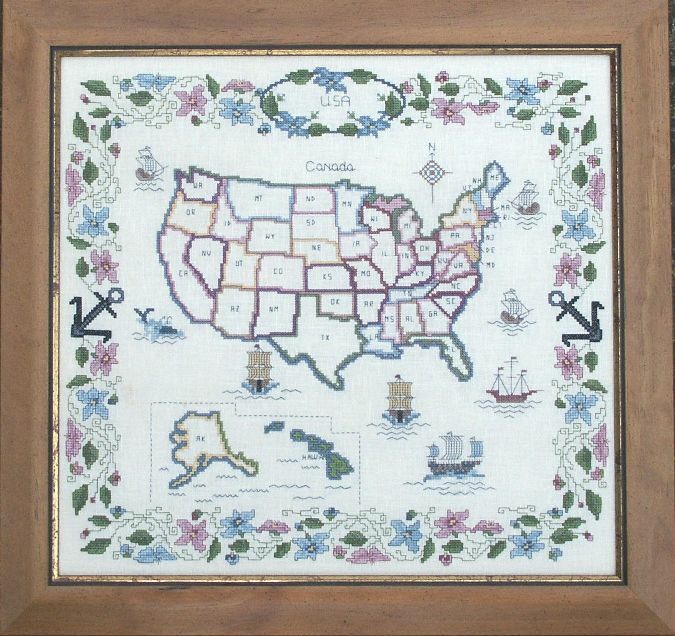 A map sampler was one of my first antique purchases in 1986 and I have loved them ever since. My map of England was stitched in the year that Wellington won the Battle of Waterloo! This sampler was inspired by my antique map collection and is worked in cross stitch with backstitch detail. There are a few fractional stitches so you may find it easier to work this on linen rather than Aida.